Interactive riders have more fun, involve their friends, workout harder and achieve better results. Whether you are a seasoned cyclist who likes to clip in or a brand new rider, you will love this bike. 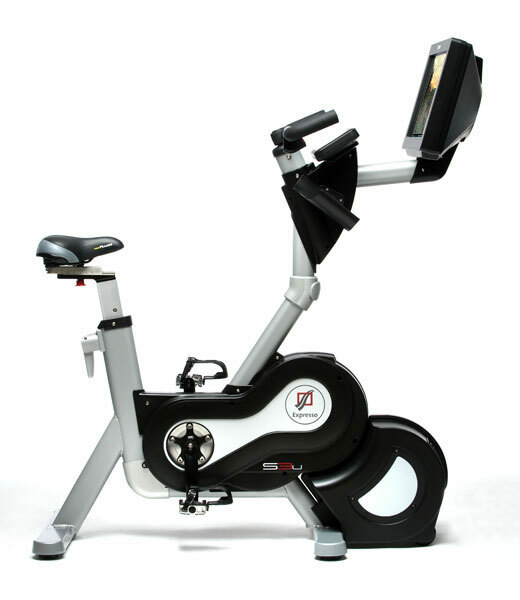 The upright bike is our most popular model and the gold-standard in interactive cycling. 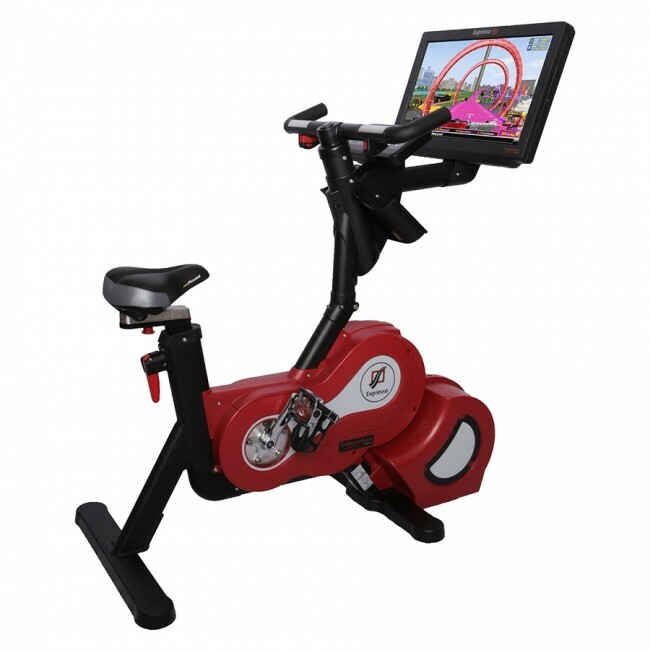 Whether you're new to cardio or a seasoned cyclist, the Interactive bike will keep you excited and engaged. Select from over 40 virtual tours, ranging in difficulty from easy to extreme. Tours span from one to twenty miles and include a variety of terrain from ancient Mayan ruins to outer space! Your pacer rides the tours with you and keeps you working hard. Adjust his speed to fit your level and follow him to the finish or beat him out at the end. Invite your friends to join you for a ride! If you have two or more bikes on the same network you can select the same tour and ride together. Let the race begin! Go ahead, nurture that competitive spirit. Sign into the bike and complete your profile to join the leaderboards. Leaderboards are broken down by gender and age so you can see where you stack up against people like you at your facility or worldwide. Keep improving with ghosts! Sign into the bike to record your rides. The next time you select the same route you will be set up to challenge your previous best. You can even send rides to friends when you can't ride together. Train with friends by sharing rides through Facebook or My Expresso. When you share a ride, your friends can accept the challenge to ride with your ghost. Ride sharing is perfect for training, friendly competitions or simply good motivation for casual riders. Fitness is fun with the chase game where you earn points by riding hard to pick up coins, bonuses, and catch dragons before time expires. 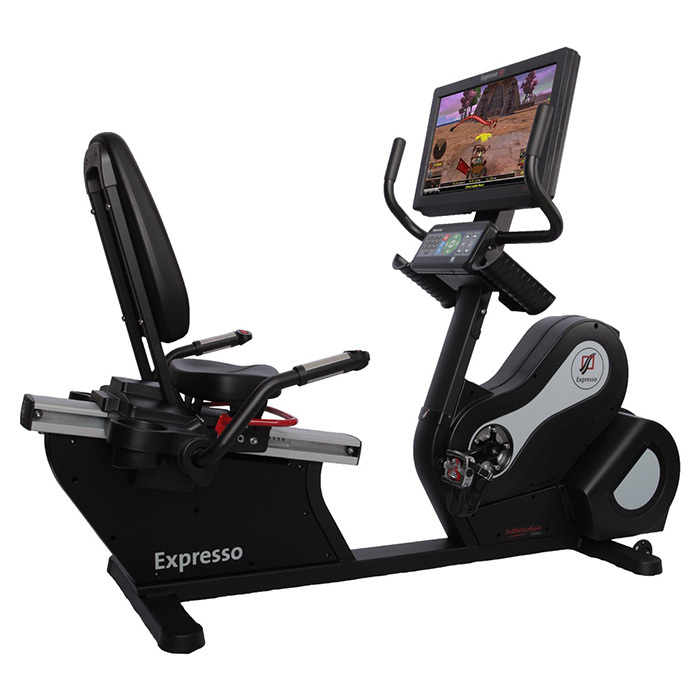 With My Expresso you can sign into Expresso.com from your computer or mobile phone to access your workout history, view leaderboards, challenge friends, and work towards goals. My Expresso keeps you motivated and working towards improving your health and overall fitness.